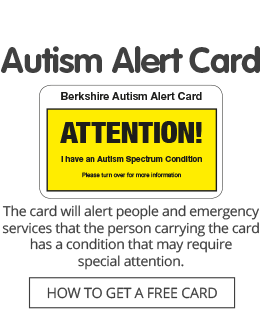 Autism Berkshire invites its members and supporters to a Fun Day to give families a chance to relax and have fun in a safe, stimulating environment, specially designed for adults and children with special needs. There is lots to do indoors and outdoors whatever the weather, with facilities including a sandpit and other outdoor play equipment, including a castle climbing frame, bikes, a soft play room, sensory room and arts and crafts. We will be holding a raffle and donations of prizes would be very welcome. If you would like to bring a cake to share for tea time, please do, but avoid using any nuts as some individuals are allergic. Cost: £5 per family (up to two adults and up to three children) with a child with autism or on the waiting list for an assessment for autism. If you have more than three children, please contact the office. Also, if the £5 charge will cause you financial hardship, please contact the office. There is parking available outside the venue. Buses between Maidenhead and Slough stop nearby in Bath Road and TVAP is about 15 minutes’ walk from Taplow railway station but make sure to check bus and train times in advance. Please note, the event is limited to 75 children, once the limit is reached, SOLD OUT will show. Please do not travel to the event if you have not got a ticket as we cannot go over the 75-child safety limit. Please add yourself to the waiting list, as you will automatically be notified by Eventbrite if a ticket becomes available. If you remain on the waiting list, we will email you first when the tickets for the next event are released.